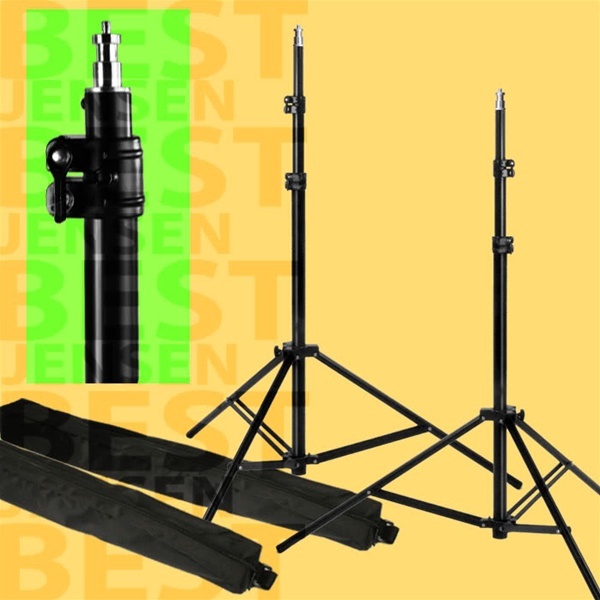 This is a new PBL professional quality 10FT light stands set of two, for photography and video lighting. These heavy duty light stands can hold lighting equipment up to 15LBS. Compact and light weight, weighing 4.8LBS each, these 10FT stand will give you years of service. Made of black anodized aluminum tubing with heavy duty die cast locking collars and double braced legs with an extra wide footprint for added stability. This stand sets up in seconds, going from 45" when fully folded to 10FT when completely extended. Can be used use with any type of lighting, indoors or out. Stands like these retail for over $100 each.